Bundesliga Daily rounds up all you need to know from Germany's 18 top-flight clubs. On 17 July, footage of Odell Beckham Jnr. 's visit to Munich went viral, FC Bayern München winger Arjen Robben received another injury setback and 1. FSV Mainz 05 met a Hollywood legend. 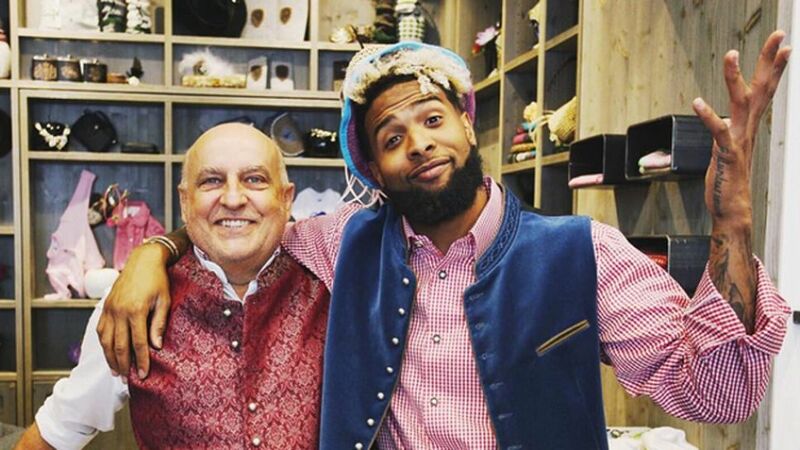 New York Giants wide receiver Odell Beckham Jnr. whipped up a storm on his trip to Munich earlier this week. After visiting FC Bayern's Säbener Straße training headquarters and getting to know local American Football outfit the Munich Cowboys, the NFL superstar headed into the city centre, where his surprise appearance was met with rapturous applause and adulation by the vociferous denizens. It is the news everyone at Bayern feared: Arjen Robben faces another injury-forced spell on the sidelines after pulling up lame in yesterday's friendly win over SV Lippstadt 08. Sadly, it's a recurrence of a nagging groin problem, which in this case will almost certainly see the Dutchman miss the opening fixture of the 2016/17 campaign against SV Werder Bremen on 26 August. Speaking of returns, SV Werder Bremen could be about to welcome relegation saviour Papy Djilobodji back to the Weser Stadium after pencilling in a high-profile friendly with Chelsea FC for 7 August. The Senegal international defender made 14 Bundesliga appearances whilst on loan at the Green-Whites during the second half of last season and famously scored the goal that kept Viktor Skipnik's men afloat on the final day. Finally, Bundesliga newcomers RB Leipzig put on a clinic in their 10-0 rout of 1. FC Frankfurt, but it was the long-awaited return of Terrence Boyd rather than the emphatic scoreline that dominated the post-match chat. A second-half introduction, the USMNT international was back in Leipzig colours for the first time since suffering over 18 months of cruciate knee ligament hell. Welcome back!